Cut chicken and zucchini into 1” chunks. Lightly dust chicken with a little bit of corn starch until lightly coated. Add vegetable and sesame oil to the wok and fry chicken pieces until golden brown. Add zucchini and mushrooms to the wok and stir fry for a few minutes. to coat and stir fry until mushrooms and zucchini are fully cooked. 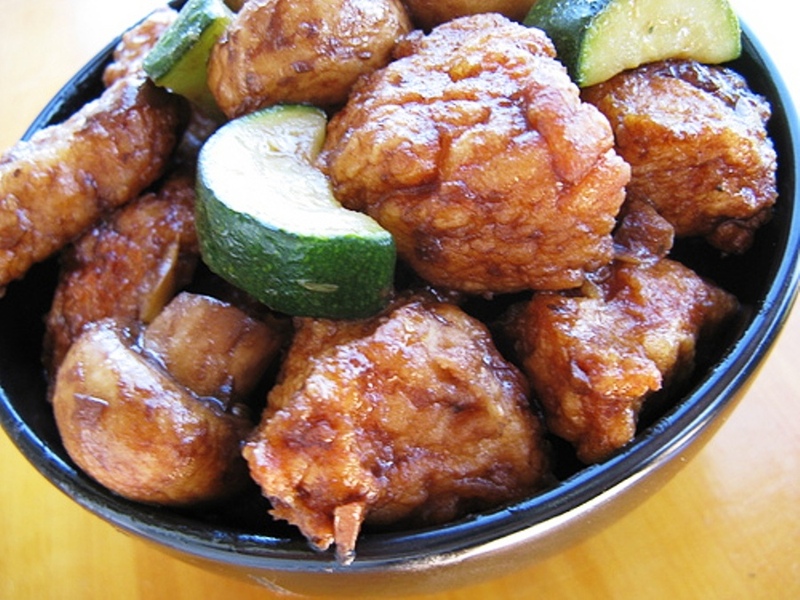 Return chicken pieces to the wok and coat with sauce, heat thoroughly and serve.